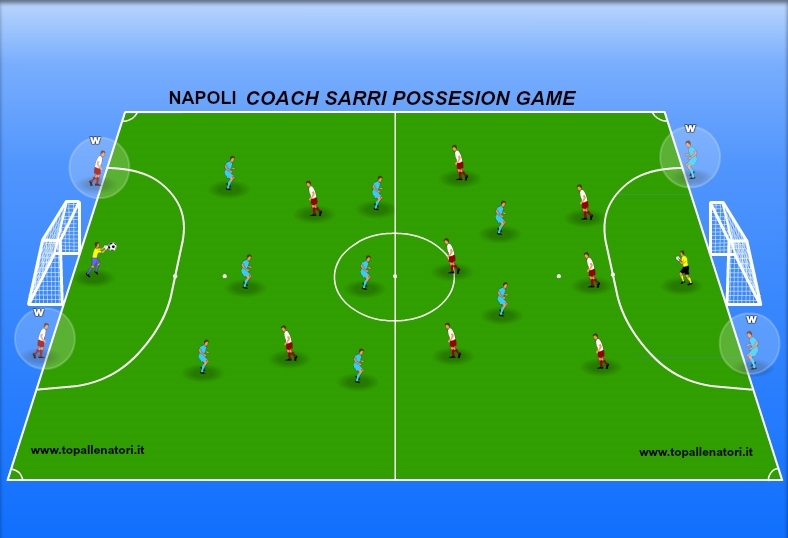 Develop your players with a tactis possesion game from coach Maurizio Sarri. 8 versus 8 in the playing area. 2 players (Wall) for each team on the outside. The purpose of the game is to score by playing a wall pass with a player on the outside. Creating a playing area of 40 x 30 mt. with 20 players and 2 goalkeepers. The wall players have only one touch and the inside players before passing to a wall player must have 6 consecutive passing.